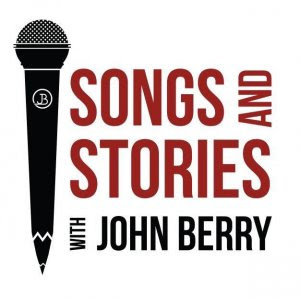 Nashville, Tenn. (August 1, 2017) — This week, country music star John Berry debuts his all-new international television show, Songs & Stories with John Berry. The weekly 30-minute program premieres on Thursday, August 3 at 8:00 PM/ET on The Heartland Network and features special guest Billy Ray Cyrus. Additional first season guests include Craig Morgan, Clay Walker, Suzy Bogguss, Mo Pitney, Neal McCoy, Billy Dean, and more. Today, The Boot gave fans an exclusive sneak peak of an upcoming episode featuring Lee Roy Parnell. Watch the video HERE. Berry's new show focuses on the singer and the song— the music that changed his guests' lives and inspired them to be the artists they have become. "It's hard to believe that the dream of a Songs and Stories TV series is now a reality and that the airing of it is upon us," says Berry. "It was a magical time filming each episode and an honor to get to know these artist friends on a different level as they sang songs and shared their stories. I am excited to share it with viewers." Songs & Stories was filmed onsite at Nashville's historic Douglas Corner, the same venue where Berry originally showcased to receive his first major record deal. The show is sponsored by Freedom Trailers and Quieti Apparel and is produced by Jeff Moseley / CJM Productions. Catch Songs & Stories with John Berry on Heartland on Thursday nights at 8:00 PM/ET. Rebroadcasts of each episode air weekly on Fridays at 5:00 PM/ET, Saturdays at 9:00 PM/ET and Sundays at 7:00 PM/ET. In addition to Heartland, the show can also be seen on Keep It Country TV (Europe), The Family Channel, The Country Network, the Angel Two Network, AMG TV, and the VTN Network. For more information, visit songsandstories.com. View the Songs & Stories promo video HERE.